The C&A Institute annually holds the National Meeting of Volunteers for store managers, volunteers and partner institutions. The goal is to celebrate, share and recognize inspiring experiences. It was no coincidence that Ana Lúcia da Silva Franco, leader of the Fuxicarte production group, and Alice Freitas, co-founder of Rede Asta, were invited to speak at the 2017 event with the theme Inspiring, Collaborating and Acting. "We are convinced that we are co-responsible for collective life and that each individual has an important and non-transferable role to play in achieving the common good, as well as inspiring them that the fashion industry can change and that it is our role to support initiatives that will make this happen, "says Daniela Pavan, Manager of Community Empowerment at the C&A Institute. It is important to the world that fashion giants such as C&A are seeking to make this industry fairer and more sustainable. 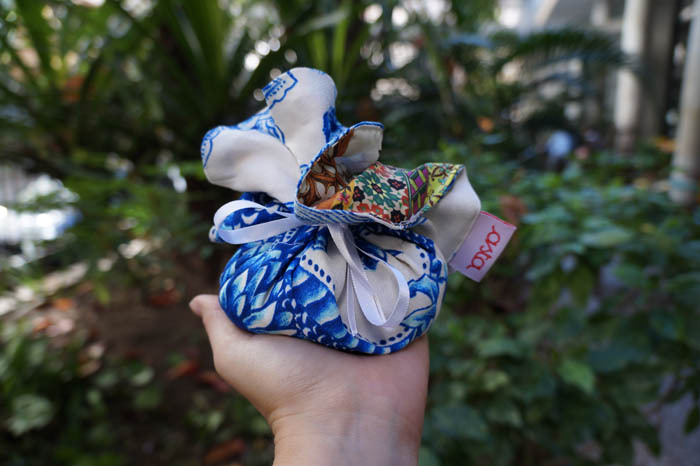 It is important that in addition to giving voice to Alice as a social entrepreneur, Ana Lúcia, Brazilian artisan has also received an invitation to share her story of empowered women. Ana Lucia spoke for the first time with the TEDx audience that Alice was invited and took her along. Since then, she has taken pleasure in telling her story. "It's important to pass on to people that through a course in a social project, my story has changed. They need to know that social projects generate good impacts so that they do not stop investing. I lived in a community, today I do not live anymore. Along with me, other women had income through Fuxicarte". The work of the artisans was recognized by the event that presented the audience with 500 environmentally friendly sachets made by Fuxicarte. It generated income, removed textile waste from the environment by using flaps, valued Brazilian crafts and empowered the artisan.